Based in Wilmington, NC, and with offices located in Ireland and Korea, The Forté Institute offers a full range of communication reports and solutions, available on every level from the individual to the corporate division. The system, which has been utilized by both larger and smaller companies since its inception more than 40 years ago, analyzes participant responses in terms of how he or she operates on a daily basis, adaptation to the work environment, and how the individual most likely appears to others during day-to-day interactions. 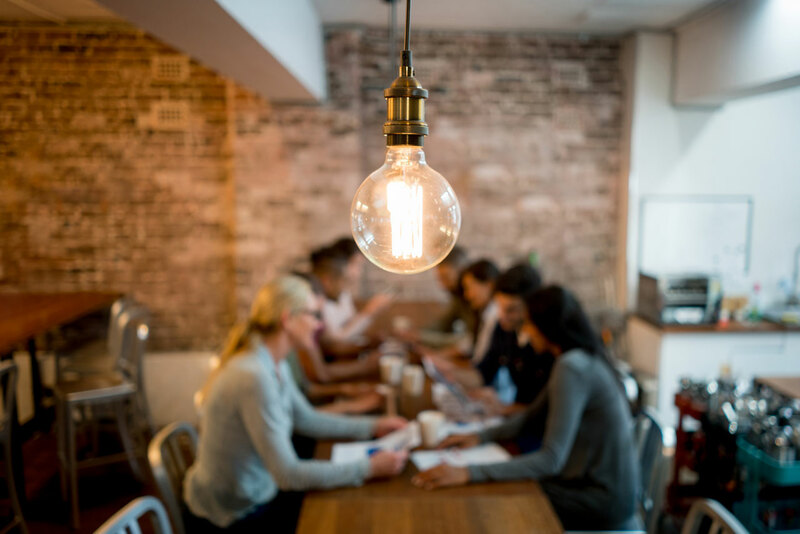 With Forté, the goal is always to maximize efficiency through perfecting team communication and cooperation, the better to increase productivity and overall results in a given business or setting. How do we update the online presence of a tried and true system, without detracting from its original identity and purpose? 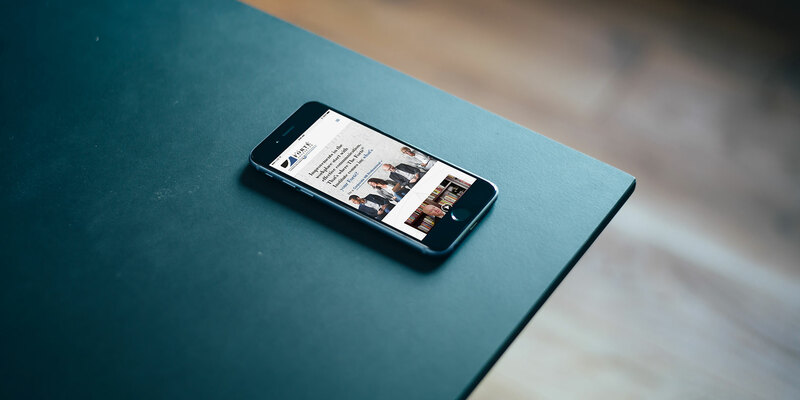 As an established authority in the business world, The Forté Institute was already a recognizable entity, and the existing website served as an informational hub as well as a tool for connecting interested parties with the team that manages the report system. But to more effectively communicate with potential clients, as well as hone in on which reports will best suit their needs and those of returning users, the website needed to undergo some updates and modifications. 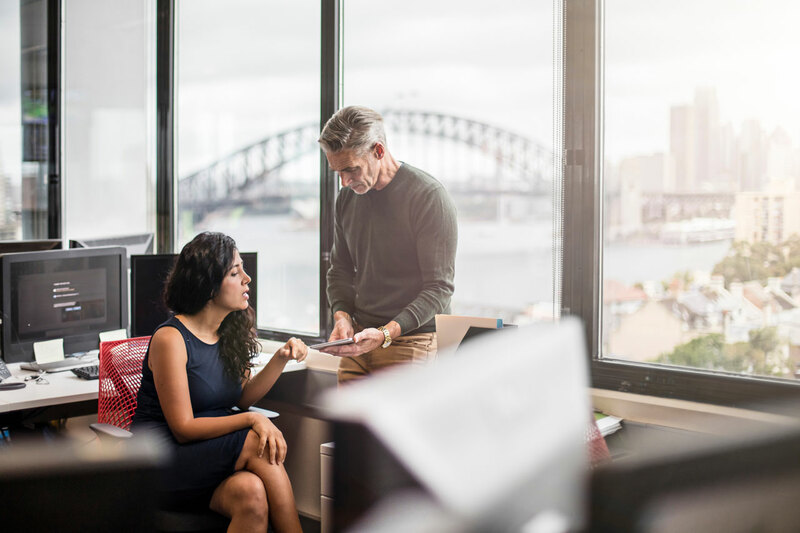 This included front end and dashboard restyling, copy services, and some brand strategizing woven into the overarching plan for consistency, both online and in physical deliverables to be used at special networking events. Known across the globe for its insight into communication styles and cooperative practices in the workplace, The Forté Institute’s brand identity was already recognizable – our design team just needed to use the existing elements to bring it up to date. Keeping the brand colors and overarching tone of the website in place, we created a theme that would still complement them yet reinforce the brand’s authority in the industry at the same time. 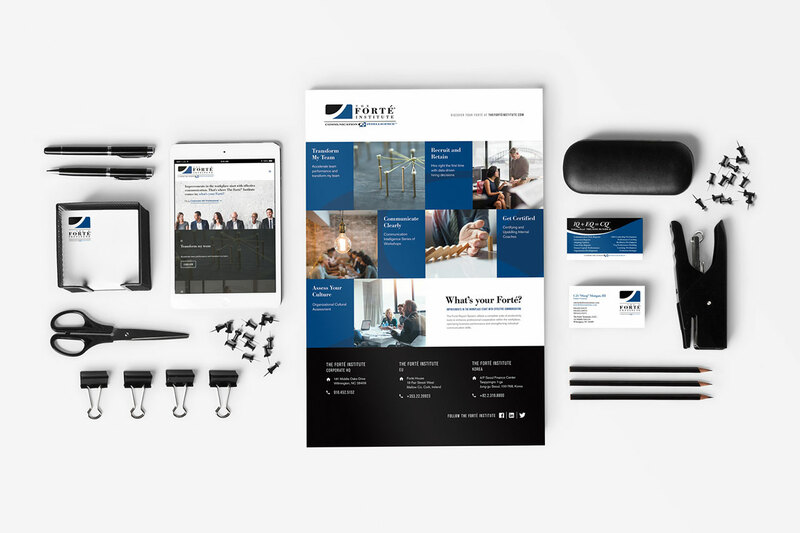 By providing black and white accents and a segmented design, rather than the more uniform layout of the previous website, The Forté Institute is now represented by a contemporary look that matches the expectations of professionals and savvy individuals. Along with a fresh look for the website, we were tasked with creating new promotional print collateral and corporate exhibition displays to be used at future trade shows and networking events. Beginning with our central brand message, “Improvements in the workplace start with effective communication. What’s Your Forté?” and established brand assets, we set about creating a custom table stand display and hex-frame trade show banner that would reflect The Forte Institute’s new corporate direction. Each promotional piece blends images of culturally diverse business professionals and concept shots with clear design language and messaging to create a cohesive brand experience, that easily translates to print, while also supporting the brand’s new online presence. 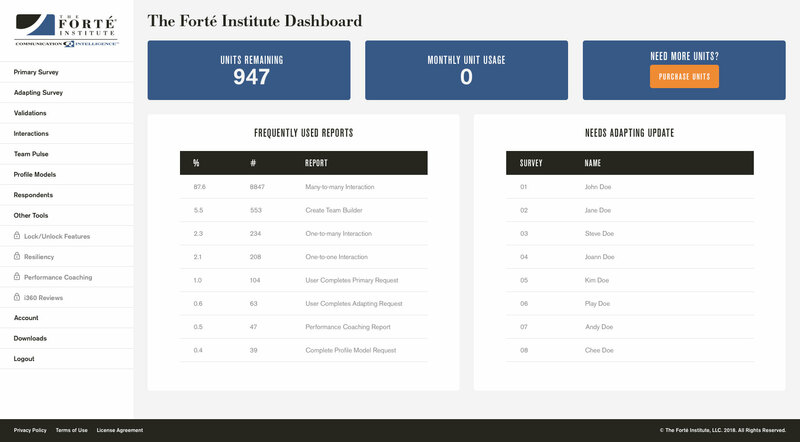 The next step to optimizing The Forté Institute’s online image was to reexamine the site’s front end and login dashboard. Essentially, this was all about enhancing the user experience, and therefore making it much easier for first-time visitors to the website to understand exactly what it’s offering and how they can utilize all that the reporting system encompassed. To this end, we went to work on building a completely new front end for the website, one that would be designed specifically with usability in mind. We wanted to make it very clear where any given visitor could click to find what he or she was looking for and how to learn more about it. So along with a more modern design overall, we also included new features such as natural language selection menu that would direct users to the types of reports they may want to look into for their teams, based on what position they hold: individuals, leaders and managers, corporate professionals, and coaches and trainers. This helps streamline a search by putting the information at the forefront, rather than hiding it in the internal pages of the website. The new login dashboard received similar treatment, providing a solid foundation for new and returning users to utilize the information that The Forté Institute’s reports provide. Regardless of the user’s occupation, he or she can easily log into the dashboard to review old reports and compare them to the results of more recent surveys. Administrators can also access team reports, as well as send out new surveys to respective members to keep improving group interactions and productivity: all with the help of custom coding we helped implement on the user dashboard. Great communication starts with the proper approach; no one knows this better than The Forté Institute. For the purposes of this website, it was a matter of our team taking the existing content on the website and refining it for clarity and tone. Each report description was modified to fit the new website layout, resulting in direct language broken up into sections that would inform and answer common user questions, without overwhelming first-time visitors to the website. We employed a similar messaging strategy for the homepage, adding in sections that would explain the main uses of the reports in concise phraseology. Sage Island’s crew is pleased to have been able to continue working with The Forté Institute in its mission to provide individuals and companies with the tools to master communication and team cooperation. 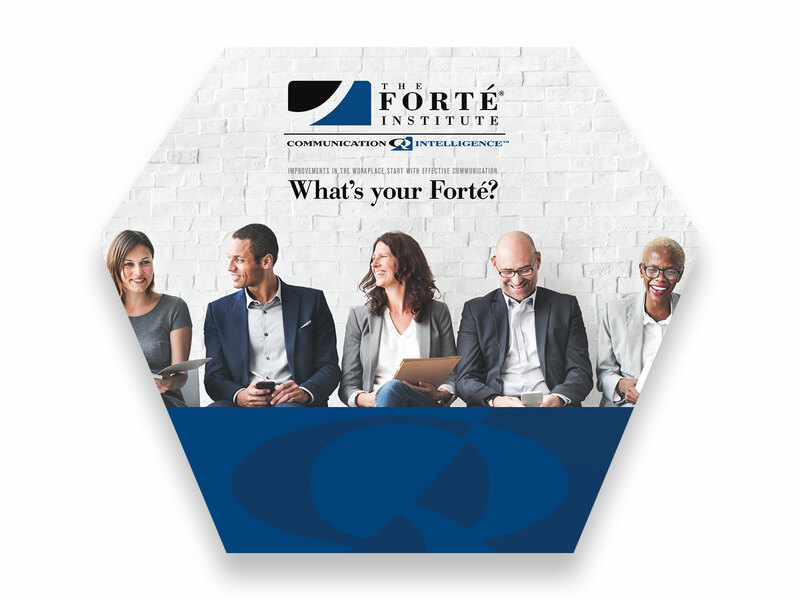 As the organization continues to make use of its new website and branded materials, we’ll keep an eye on feedback from website users and work on new ways for The Forté Institute to interact with its clients.